Released just over a year ago, Calvin Harris' Slide has received mostly positive reviews from critics. Combining the sounds of hip hop, R&B, pop and nu-disco, the original version reached number 25 on the US Hot 100. It features 2 of the founding members of Migos (Quavo and Offset) as well as R&B artist Frank Ocean. The Island Remix of Slide features the addition of another popular artist... Nicki Minaj. It also has a revised reggae style beat, with the sample taken from My Jam by dancehall artist Mr. Vegas. 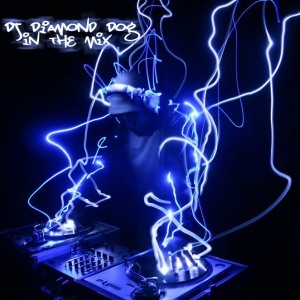 You can stream Diamond Dog's Island Remix of Slide right here and at djdiamonddog.com. If you like it, you can also download it to add to your local library. Remember, all streaming & downloading services at djdiamonddog.com are 100% free, with zero ads. So if you enjoy my material, please share the link with your friends. Thanks for your support. I'll have more uploads coming soon!! Look Alive bursted on to the scene in 2018, straight into the top 10 of the Billboard Hot 100, where it sat for 8 weeks (and still counting). Toronto rapper Drake highlights the hook on this instant hip hop gem, making it a platinum hit from the jump. Next up... Cupid. Who DOESN'T know the Cupid Shuffle? Answer: No one. Dropping in 2007, the Cupid Shuffle (surprisingly) failed to reach the top 10 (hitting #66 on the Hot 100), but has since become a staple at virtually any event that includes dancing. From bars to clubs to proms to weddings, you are all but guaranteed to hear the Cupid Shuffle at some point. Although the sounds of these 2 songs are very different, they still flow together nicely. 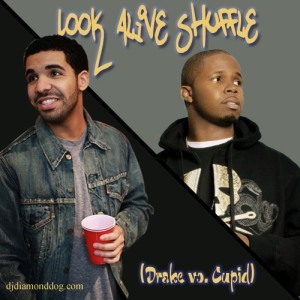 Starting with the hard edge street sound of Look Alive and seamlessly flowing into the upbeat Cupid Shuffle, the Look Alive Shuffle brings that energy for all the party goers. You can stream the dirty version above or at djdiamonddog.com. You can also download both the clean and dirty versions here. I've got a few more tricks being cooked up in the lab now, so be sure to check back here or follow me on Facebook, Twitter and Instagram. Just a short practice mix session on April 7, 2018. It features music from Nina Sky, Sean Paul, Jennifer Lopez, Trina, Pitbull, Flo-Rida & more!! Just a short practice mix session on April 7, 2018. It features music from Baby Bash, Fifth Harmony, LL Cool J, Jeremih & more! !